Medilink International has been providing continuous expert medical assistance services to companies and individuals in Libya for over 20 years. As one of the first remote area medical services operating in Libya, we have gained near unparalleled expertise in managing a range of medical assistance to entities operating throughout this vast country. In Libya, we act as a trusted medical partner, deploying teams at remote sites wherever our clients are based. 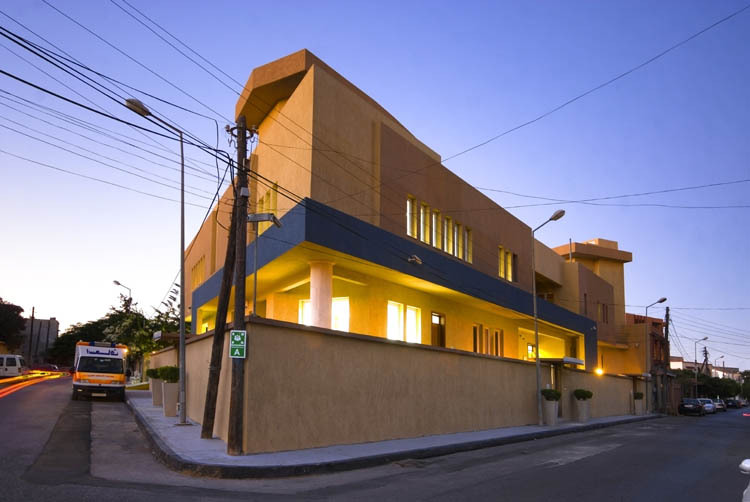 Our Libya operations are supported locally by Medlink’s permanent, modern and full-service medical clinic in Tripoli which runs a portfolio of services including pharmacy, vaccination, mini-lab, X-ray and occupational health. By having a permanent physical base in Libya, we offer more than just arm’s length medical assistance; our Tripoli base gives us the benefit of immediate local knowledge and is testimony to our unswerving commitment to our clients in Libya. In addition, it acts as a supply chain for medications, disposables and medical equipment, and as a first responder base. It is a vital hub running our capabilities in Libya, which span remote site support and critical services such as the provision of medical units, topside support and emergency evacuation as well as consultancy, training and medical audit services. Libya was where we set up our first international operations and we remain committed to serving our clients there. Thanks to our international standard medical capabilities and a deep cultural understanding of the country, we have continued to manage services in Libya throughout the events of the recent past. Our country services are coordinated and supported from our international headquarters and Emergency Alarm Centre in Malta, which is strategically located in the central Mediterranean conveniently 30 minutes’ flight time from Libya. 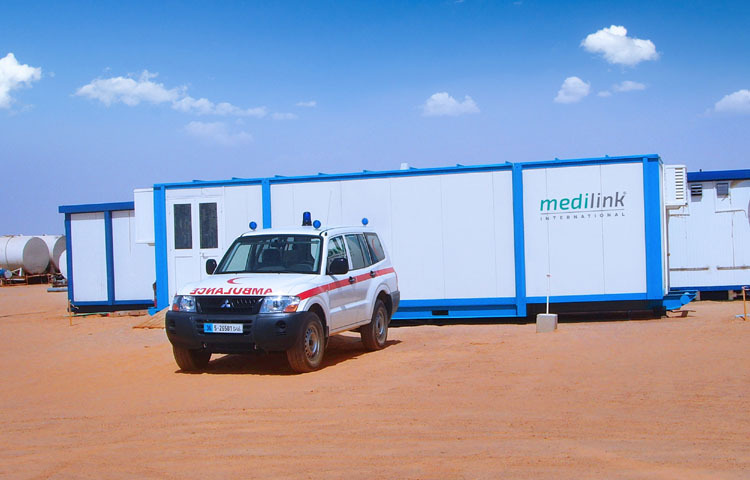 At Medilink, we fully recognise the exigencies our clients face in running operations in Libya and are well equipped to respond with secure, reliable and comprehensive medical assistance for all your remote site needs. We are rigorous in how we recruit and train medical staff and, as a result, Medilink teams have proved invaluable professional partners to some of the world’s largest corporations working in Libya. We make it a priority to engage ex-military medics as these professionals have the specific remote medical capabilities as well as the personal strengths required to operate in the region today. At Medilink, we are deeply involved in supporting and ensuring the safety and security of our medical teams on assignment in Libya. We provide pre-deployment, ‘out-of-comfort-zone’ training to all our personnel to prepare them for the specific demands they face in Libya. Our exacting standards in recruiting staff and our commitment to our teams guarantee reliable, professional one-stop medical support where adequate local medical capabilities are lacking. Organizing first-class medical support in Libya, especially in the interior, is a highly demanding task requiring expert assistance. At Medilink, we offer a turnkey service, acting as a one-stop provider for your entire medical needs. This gives you the ease and convenience of one company with which to interface. You may require entire medical teams or single service such as the back-up of remote telemedicine support. Whatever level of medical services you require, we can assist you at every stage. We operate throughout Libya with the Medilink Tripoli Clinic our hub for the deployment of medical services to remote locations as well as for topside support. For full information on our remote site medical assistance in Libya and our Tripoli Clinic, see the Medilink Libya website.